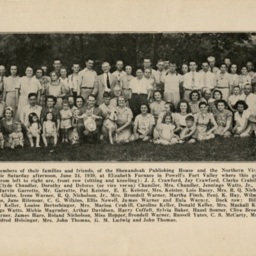 The individuals in the photograph are identified in the picture's caption. FOLDER 1.10: Strasburg Photographs, Series II Photographs, Lichliter Collection, Truban Archives, Shenandoah County Library, Edinburg, Virginia. 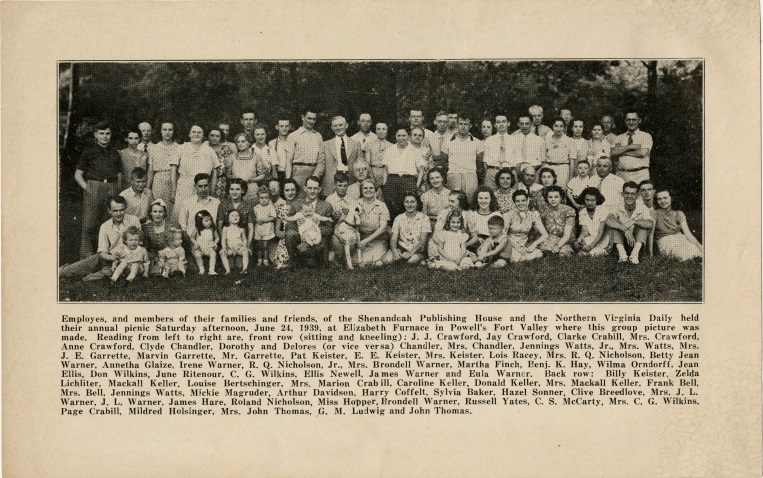 Unknown, “Shenandoah Publishing House and Northern Virginia Daily Employee Picnic,” Shenandoah County Library Archives, accessed April 22, 2019, http://archives.countylib.org/items/show/12362.